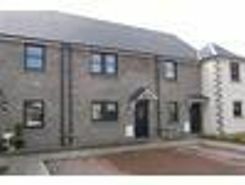 2 Bed, ground floor Apartment, FREEHOLD, Ayton, Scotland. English border 8 miles away. 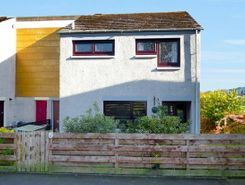 TWO BEDROOM MI-TERRACED PROPERTY LOCATED IN NEW DEVELOPMENT ON THE OUTSKIRTS OF AYTON, BERWICKSHIRE, BENEFITING FROM SOLAR PANEL ELECTRIC HEATING, UPVC DOUBLE GLAZING, GARDEN & ALLOCATED PARKING. NO UPWARD CHAIN & EARLY OCCUPATION AVAILABLE. 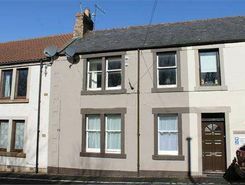 This property has been INDEPENDENTLY VALUED at £120,000 by a Royal Institution of Chartered Surveyors (RICS) qualified valuer.ATTRACTIVELY PRICED - Ideal for Families - Great First Buy - Close to Local Amenities - Pleasant Village Location - Gardens to the Front, Side and Rear - Double Glazi.